Matt’s passion to bridge global cultures began with a trip to China just after high school on a trip led by one of his teachers. The trip provided lifelong friendships with both fellow students and Chinese cultural partners. Since that experience, Matt has lived, studied, and worked in Spain, Chile, France, and the United States of America. Matt’s three host family experiences and numerous global friendships are an irreplaceable part of his life. Matt is excited to provide experiences that expand students’ horizons and open their minds to new possibilities. Matt dreams about helping future students overcome cultural barriers to create a more understanding, friendly, peaceful, and productive world. Laragh’s passion for learning about other cultures started after participating in an exchange program in High School living on a Native American reservation in Wyoming. After receiving her bachelor’s degree from Prescott College in Arizona, Laragh traveled extensively around the world including leading high school and gap year programs in Ghana and India. During her time abroad, Laragh gained valuable insights about other cultures and about her own cultural identity. Laragh returned to her hometown, Portland, Maine, and accepted a position at CIEE supporting exchange student while they studied and worked abroad. After becoming a CIEE intercultural trainer and working for 8 years as the Manager and Director of the CIEE Support Department, Laragh is excited to share her leadership skills, her intercultural knowledge and her communication skills with the Global Navigator High School Abroad team. In her free time Laragh enjoys hiking and traveling with her husband, playing with their dog Lucy, gardening and practicing yoga. Rachel’s passion for travel began in high school, when she spent a month on the south island of New Zealand. The experience allowed her to gain a stronger sense of independence and an understanding of different lifestyles and cultures. She has travelled internationally and has spent many hours in the car exploring the United States and Canada. Rachel is excited to help high school students have similar life changing and culturally enriching experiences while abroad. Rachel, a native Mainer, returned to her home state after living in Colorado for a few years and attending college in New York. In her free time, she enjoys skiing, biking, exploring the Maine coast, and spending time with her husband and their golden retriever. Peter’s life was changed forever when he discovered the Dao De Jing, a book of ancient Chinese philosophy, in his high school library. It inspired him to study Chinese philosophy and history in college which in turn led him to study Mandarin in China. After graduating with a BA in Chinese language studies, Peter returned to China several times to lead educational travel programs for high school students and later to serve as the resident director of a college study abroad program in the city of Kunming. Before joining the CIEE Global Navigator team, Peter traveled 6,000 miles along the ancient Silk Road from China to Italy by bicycle. Peter is thrilled to be able to share his passion for learning, travel, and exploration to help more students achieve transformative experiences through study abroad. Denzel's dedication to intercultural engagement and international education became congealed during his undergraduate career. He pursued a BA in French and Ethnic Studies at Bowling Green State University in the eponymous rural, Ohio town. Spending a semester in Tours, France, Denzel spent time connecting with local students leading weekly English instructions and advancing his own fluency in French. 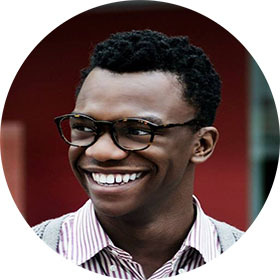 Returning back to his college town, Denzel worked as a Study Abroad Ambassador with a focus on providing access and resources for marginalized students wishing to experience first-hand global travel. After graduation, He returned home to Cleveland where he worked as a program coordinator for underserved students for an arts education non-profit in partnership with the Cleveland Museum of Art. Melding his skills in student relations, multiculturalism, and social justice education, Denzel has found himself in his element helping students expand their global and introspective views through the medium of education abroad. A native of western Maine, Mollie has always been passionate about international exchange and cross-cultural communication, thanks in part to the exchange students her family has hosted over the years and the tales of her parent’s own experiences living abroad. Mollie spent an unforgettable semester in Prague while earning her degree in international studies from American University, and has been fortunate enough to travel to over a dozen countries, and spend a few summers living and working in Barcelona. Her favorite part about working with high school students is seeing the personal transformation and growth that happens during their own experience abroad. Having lived in the south for several years, Mollie spends most of her spare time taking advantage of the Maine outdoors in all seasons- either skiing, hiking, or spending time on the water. She is an avid runner, yogi, and Boston Red Sox fan. Brooke is from Charlotte, North Carolina and has a B.A. in Global Studies and German from the University of North Carolina at Chapel Hill. She was once a high school exchange student herself in Germany (through CIEE! ), and has also au paired in Vienna, taught high school English in Western Austria, worked at a summer camp in Switzerland, and volunteered and studied Spanish through South America. She is excited to be able to use her positive experiences to help students prepare for an adventure of a lifetime! In her free time, you will find Brooke baking cookies or traveling somewhere new. Prior to joining CIEE, Elena worked in public relations and hotel operations and continued to be a student of the world, living abroad in South America before returning to her home state. Elena credits her past study abroad experiences with awakening her passion for forging cross cultural understanding, and looks forward to increasing access to international education for others. Sonia’s passion for international education began at a young age thanks to her parents who provided valuable opportunities to explore the world. She completed her undergraduate degree at Virginia Tech where she received a BA in International Studies and French. She spent a semester in France where she became fluent in the language and taught English in Ho Chi Minh City, Vietnam after graduation. Prior to CIEE, she worked at a foreign language institution in Washington, DC and moved to Richmond, VA for a position in higher education. With her diverse professional background and multicultural experiences, Sonia hopes that her skill-set will help high school students discover the world through the power of study abroad. In her free time, Sonia loves to cook, hike, run, dance Zumba, and globetrot with her husband. A native of Maine, Nate’s passion for study abroad is driven by his personal experience studying and living in Madrid, Spain. He’s familiar with the challenges and triumphs one can experience while on a High School or Gap Year Abroad program, and is committed to helping students make the most of their experiences overseas. In his free time, Nate enjoys hiking with his wife and dog, traveling, spending time with family and friends, and following Real Madrid Club de Fútbol. Anne helps high school students explore the world and bring new understandings back to their communities because she has seen the value of having international perspectives in the classroom firsthand as a student and as a high school teacher. 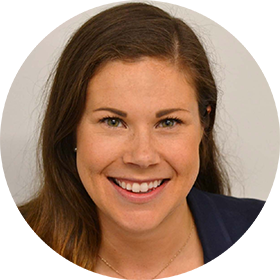 A graduate of the Bowdoin Teacher Scholars program, Anne was an advisor and teacher at a boarding school in Maine before joining the CIEE Global Navigator Team in 2016. When she is not planning her next travel or outdoor adventure, Anne enjoys writing, reading, and theater. As the daughter of an Air Force colonel, Barbara was lucky to be exposed to international travel and life abroad from a young age. By the age of 10, Barbara had lived in Turkey and South Korea. After relocating back to the U.S., Barbara’s family put down roots in Virginia. Barbara studied History and Government at the College of William & Mary and went on to receive a J.D. with a concentration in International Law and Business from the Catholic University of America. While a law student, Barbara studied abroad in the beautiful city of Krakow, Poland. Most recently, Barbara spent six years living and working for CIEE in Shanghai, China. She has a special place in her heart for the people of China, Chinese food (especially hóngshāoròu), and the language. Today she lives just outside Washington D.C. with her husband and dog. In her free time, she enjoys running (with the dog and, sometimes, husband) and practicing yoga. Barbara is excited to share her personal experiences living and working abroad with High School and Gap students and is hopeful that more and more students will choose to make the world their classroom. Annette holds a master’s degree in sustainable development and bachelor degrees in psychology and Spanish. Annette has a 20-year teaching background in English as a second language and cultural communications working with academic- bound, business and service-learning students from around the world, and has also worked for two non-profit organizations serving vulnerable children in rural Uganda and families in metropolitan Chicago in the areas of education, health and community development. Her own cultural journeys have taken shape in Ecuador, Spain, the Czech Republic, Slovakia and Uganda, and has seen firsthand that sharing our lives across the globe will lead to deep interpersonal/intercultural understanding and positive social engagement. She resides in Naperville, Illinois and in her free time enjoys travel, books, gardening, cooking and yoga. Zoë Joined CIEE’s High School and Gap Year abroad team from Kieve-Wavus Education Inc., where she worked for two years as an experiential educator and wilderness trip leader with middle school and high school students. She studied abroad in New Zealand during college, which ignited her interest in outdoor recreation and shaped new perspectives, independence, friendships, and goals. Her fascination with other cultures and people inspired her undergraduate study of Anthropology and Psychology at Fordham University. These studies and passions have led her various places for volunteering and work including New York City, Alaska, Guatemala, and the remote Maine wilderness. She always knew she wanted to travel, not just as a tourist, but in a way that would allow her to experience places from a local perspective and gain understanding of different lifestyles. Zoë’s international and domestic travel have allowed her to experience first-hand the power of connecting with new people and places, teaching her so much about others, the world, and herself. She is excited share her knowledge with students who are interested in having their own study abroad experiences. In her free time, she enjoys being outside, going for walks, hiking, canoeing, cooking chili in her crock pot, and daydreaming about where she’ll travel next. After working for over two years in CIEE’s Study Abroad department working with college students, Alex joined the Global Navigator High School Abroad team in 2016. Her love of travelling, learning foreign languages, and immersing herself in new cultures started in high school when she participated in two exchange trips—the first to France and the second to Costa Rica. With a strong desire to improve her French, Alex spent a month during her first year of college studying in Paris, France and during her junior year, she spent a semester studying and interning in Geneva, Switzerland. Before graduating from college, Alex decided to take a gap semester to return to France to teach English, living with a host family and tutoring three young children. Alex is excited to be working with high school students, as she is eager to foster their passion and desire for studying abroad and immersing themselves in new languages and cultures! Joe has always loved travel and jumped at every opportunity he had. As a teacher, he led instructional trips overseas and served and an educational liaison for the U.S. State Dept. in Central Asia. Whether traveling to Ireland again to visit family or visiting a new CIEE Global Institute in Nanjing, China, the excitement never fades. He truly believes “the world is our classroom” and that we should never stop learning. When not traveling, Joe can be found on the golf course, on the river, or in the yard…working (in that preferred order). He lives on the Nashua River in Massachusetts next to a horse farm with his wife, son, daughter, and currently two dogs and a cat. Spending her sophomore year of high school as an exchange student in Natal, Brazil – living with a host family, attending school with Brazilian students, and living the daily life of a Brazilian teenager – transformed Melissa. Studying abroad allowed her to become proficient in Portuguese, make lifelong friends, and step out of her comfort zone. She returned home a more confident, independent person with a passion to learn about the world and the people in it. Melissa loves sharing her enthusiasm, passion, and experience by helping each student find the CIEE High School Abroad program that will help him/her to become a global citizen. Sarah grew up in Cincinnati, Ohio and received her bachelor’s in business from the University of Colorado in Boulder. During her college career, she spent a transformational semester in Prague (thanks to CIEE! ), and after graduation, she moved to San Francisco and later spent several months backpacking around South America. Upon returning to northern California, she began working in the world of luxury, custom travel and did so for several years, even after relocating to North Carolina with her husband. Sarah eventually pursued a K-12 Spanish teaching license and taught elementary Spanish, as well as ESL to high school exchange students; and she helped guide a week-long backpacking trip in Pisgah National Forest. Nowadays, after having moved back to California, Sarah is fulfilling her dream, as an International Studies Advisor for CIEE, to help students see the world and realize their academic and personal potential.